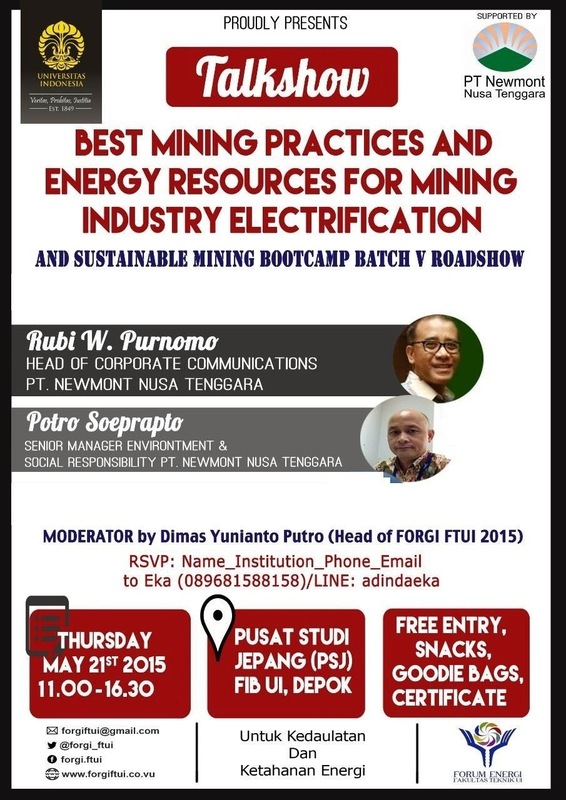 Home » »Unlabelled » Talk Show "Best Mining Practices and Energy Resources for Mining Industry Electrification"
Talk Show "Best Mining Practices and Energy Resources for Mining Industry Electrification"
◆ FREE lunch, goodie bags, and certificate. ◆ Please may note that this event will also be a roadshow to a program "Sustainable Mining Bootcamp" Batch 5. Get more info here and you won't miss! We are waiting for you to join us and let's gain some benefits from here. See you!